The Weather Channel is celebrating creatures of all types this week! Today’s focus is all about bees, ants, termites, and cockroaches. Tune in to The Weather Channel every day starting at 6 AM on AMHQ and check back here every day for new Creature Week stories we guarantee you’ll love. The future of weather forecasting is here! That’s right. Scientists at Jiangxi Agricultural University in Nanchang, China, discovered that honey bees can predict when it’s going to rain. 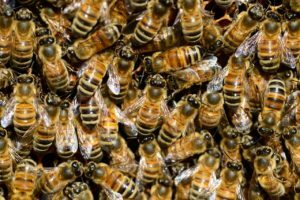 In the study, scientists attached radio-frequency tags to bees from three different hives. 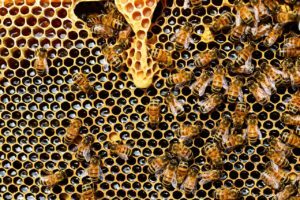 The scientists found that when the bees sensed a change in the humidity, temperature, and barometric pressure, they tended to spend more time away from their hive foraging to prepare for the rain. Now, they won’t be replacing our meteorologists anytime soon, but an animal that can predict the weather? You have to admit that’s pretty cool! I think we can all agree that ants make the worst decisions when it comes to real estate. However, research done at the University Duisburg-Essen in Germany shows that ants can predict earthquakes. Redwood ants like to build their mounds in active faults- the fractures in the Earth that cause violent quakes. 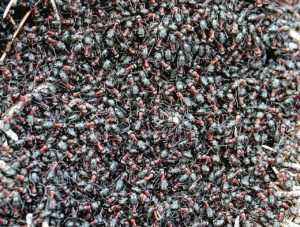 The study, which took place over three years, tracked the ants’ daily activity using small cameras. Ants mirror the human diurnal pattern, meaning they work during the day (you know, the usual gathering food, biting people on the legs, etc.) and rest at night. However, before an earthquake, the ants were active outside of their mound at night. Scientists believe that it’s due to their genetic makeup. 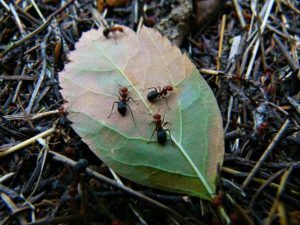 Ants, specifically redwood ants, have receptors specifically for carbon dioxide and and electromagnetic fields. I still don’t recommend depending on ants to tell you when an earthquake is about to happen, because they only seem to sense an imminent earthquake if it’s below a magnitude of 2.0 (most people don’t even feel these). 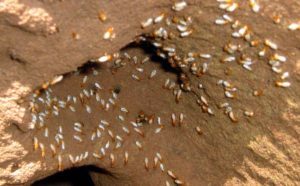 Although termites can’t exactly predict the weather like the previously mentioned pests, they are useful in their own way. The mounds that termites build can be analyzed and used to predict ecological shifts from climate change. Termites are very careful builders. 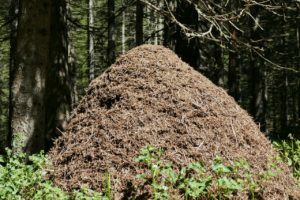 They construct their mounds in areas with the perfect balance of moisture and drainage (if termites decide to move in, consider your house ‘perfect’). 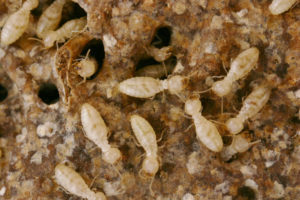 According to the Carnegie Institution Department of Global Ecology, termites have an advanced understanding of geology and hydrology that can explain how a local ecosystem has evolved. When experts map the positions of termite mounds year to year, they are able to track the changing climate. So when you get that bill from the exterminator, remember termites are good for something (other than a hole in the side of your house). Cockroaches, possibly the most hated insect by humans, can actually be quite useful. Although 4,500 different species seems a bit excessive, you’ll be happy to know that 99.7% live in areas away from humans. Their most vital role is perhaps, in nature. They are a food source for many animals, including birds, mice, and rats. I know what you’re thinking: “A decline in the rat population wouldn’t be so bad either.” Well, a sudden drop in the small mammal population would lead to more deaths among the animals that prey on them: cats, wolves, reptiles, and larger birds. Cockroaches also have a vital role in the plant cycle. As they crawl through flowers seeking food, they distribute pollen, which helps with the reproduction of the plants. They are the garbage collectors of the Earth! Roaches are scavengers and although they prefer sweets, they’ll eat just about anything: glue, grease, soap, wallpaper, leather, and even hair. 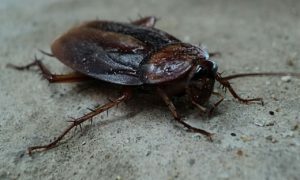 While I don’t recommend domesticating a cockroach just for cleaning purposes, they are known to eat organic waste and things that would otherwise clutter our surroundings. Not to mention, roaches have come a long way! One of the longest living species on this planet, the modern cockroach first came to be about 200 million years ago. Yes, they were even crawling and scavenging during the dinosaur period. Their evolution includes their ability to produce nine different antibiotics that protect them from lethal bacteria. Well, let’s just imagine for fun, a world without any cockroaches. The quickest change would be that some animals no longer have a food supply. These populations would decrease drastically and cause problems in the entire food chain. Cockroaches also help control the earth’s nitrogen cycle. Because they feed on decaying matter, they trap nitrogen as a result. When the food exits the roach’s body, the nitrogen ingested gets into the soil. The same soil the plants use. In other words, we really need cockroach poop in order for the plants to grow. Yes, these four animals can be quite a nuisance, but they each have ways that they’re useful. You don’t have to enjoy these pesky animals, but being able to predict the weather is pretty amazing! Do you have any interesting stories about these animals? If so, share them below.